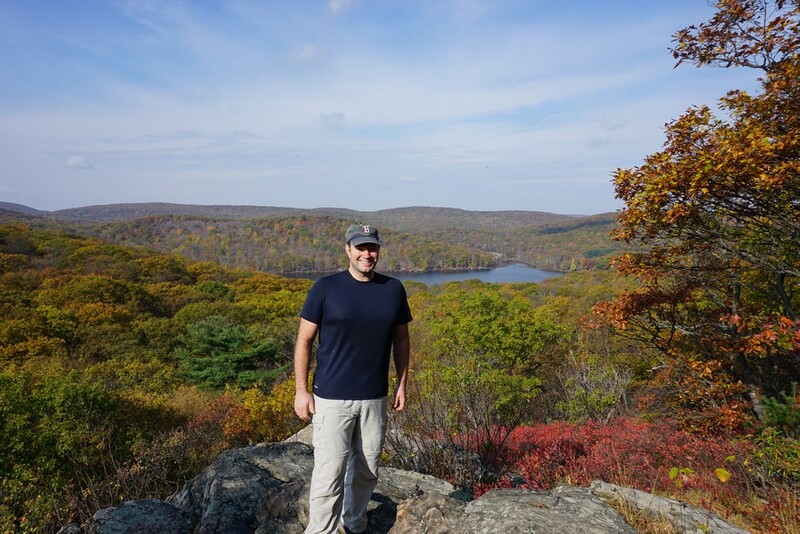 This hike was at the peak of the fall foliage. 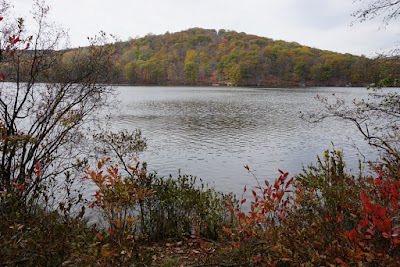 I had been here several years ago at the end of October, and decided to give it a revisit now. 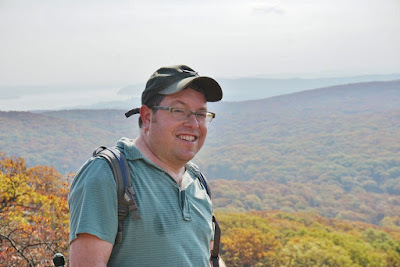 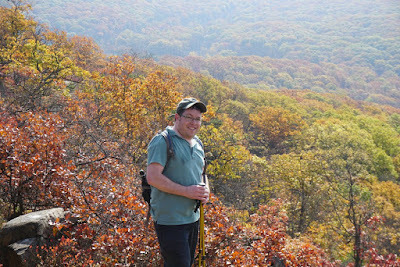 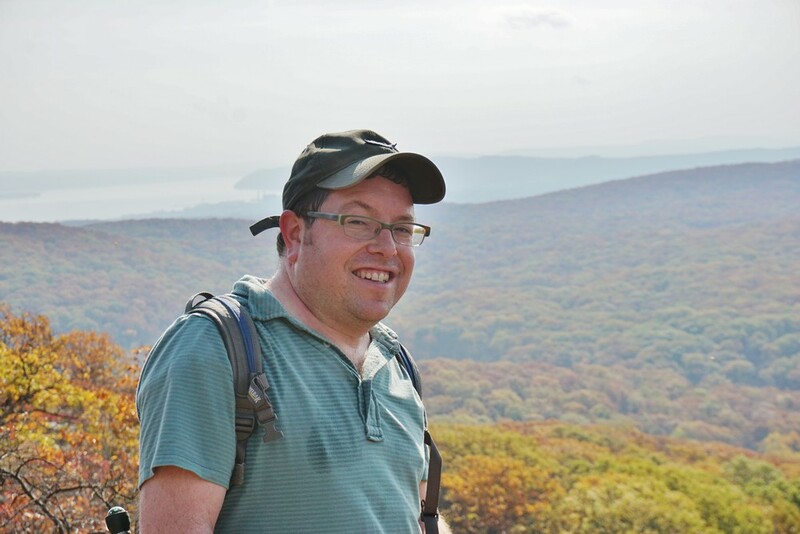 I was joined on this hike by Yehudah Koblick, a former hiking partner of mine who used to go hiking with me regularly. 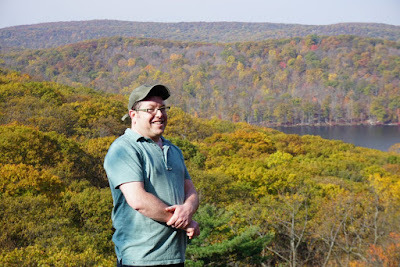 Yehudah took up road biking the past several years instead of hiking so it's been a long time since we've gone together. 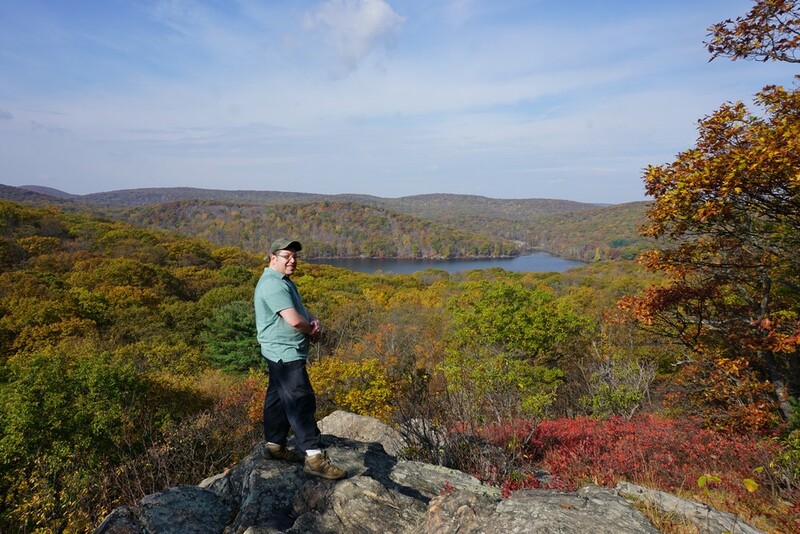 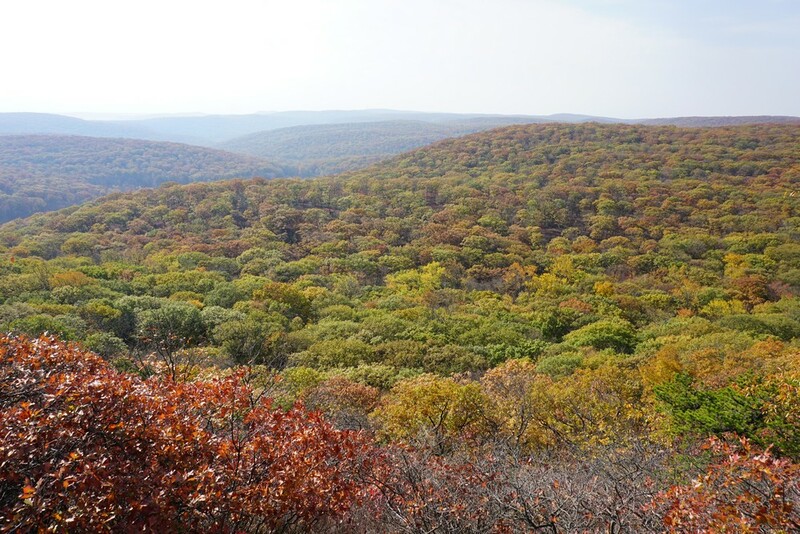 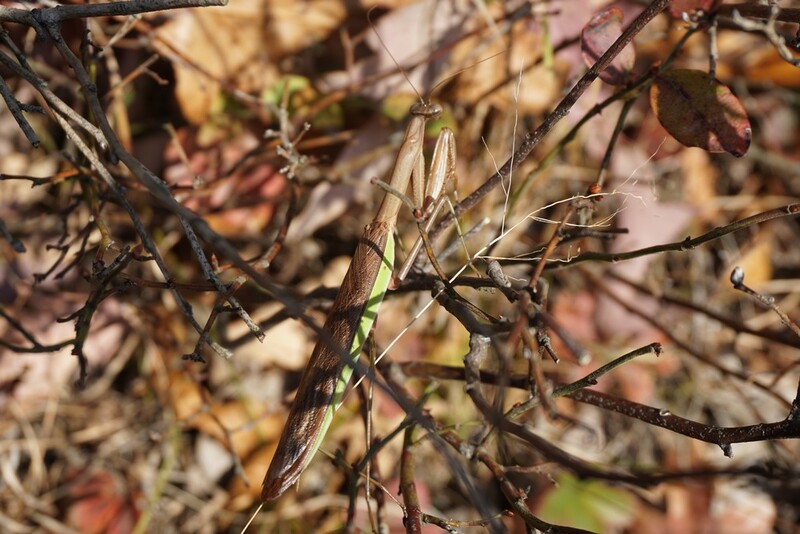 Yehudah wanted to take a break from biking to get to Harriman for the foliage, so he joined me. 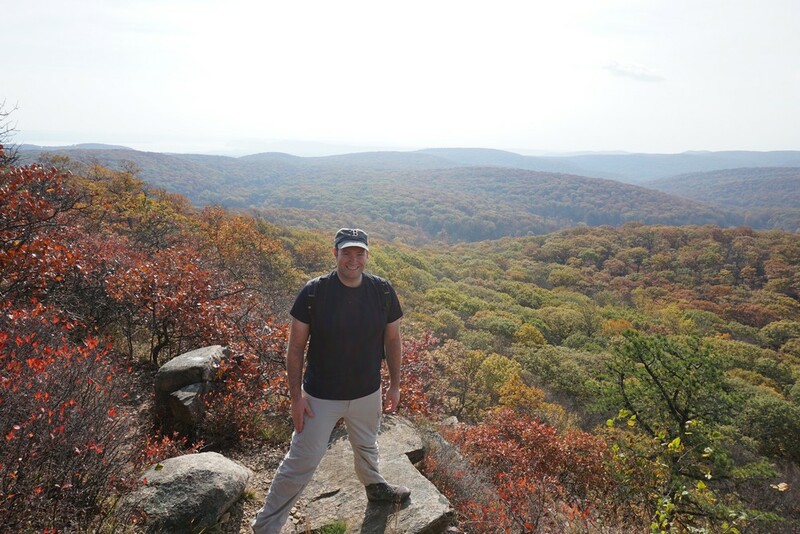 The weather was beautiful for late October, and was in the upper 60's. 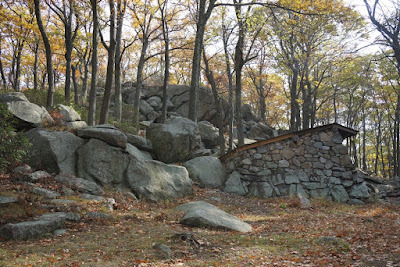 We parked at the Silvermine Lake parking area, a former ski area many years. 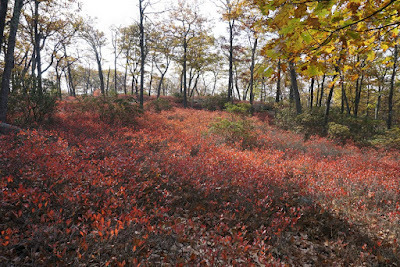 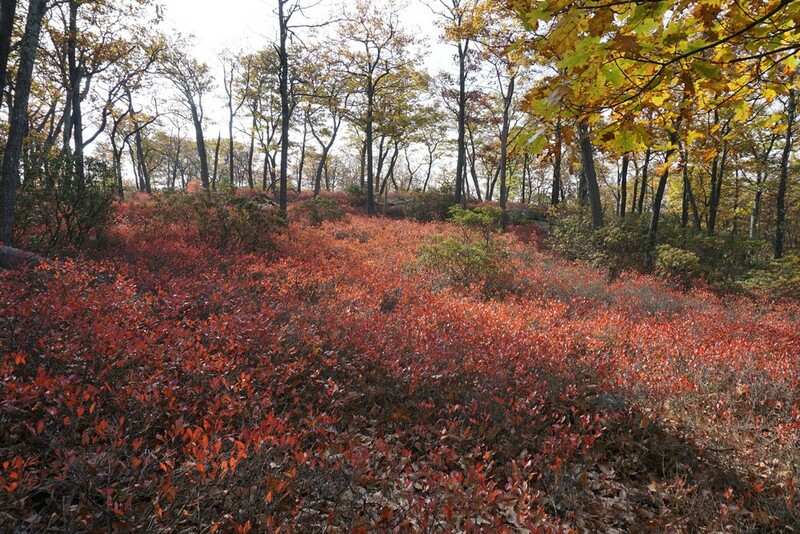 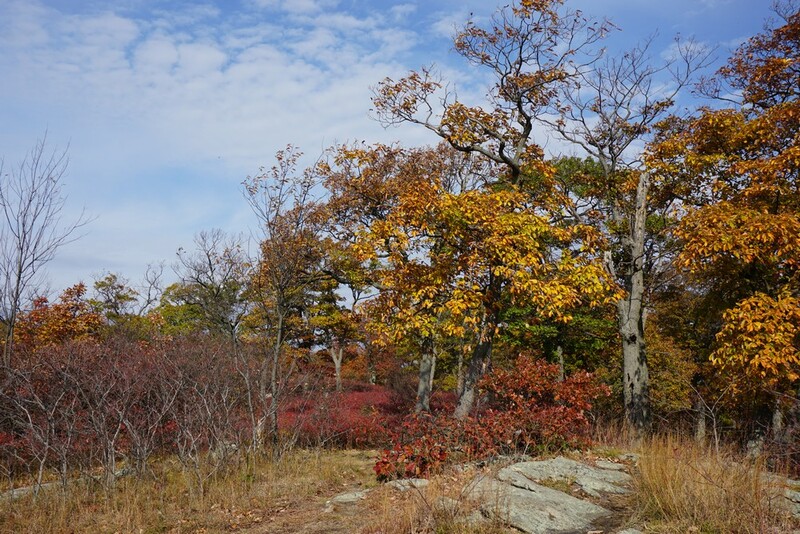 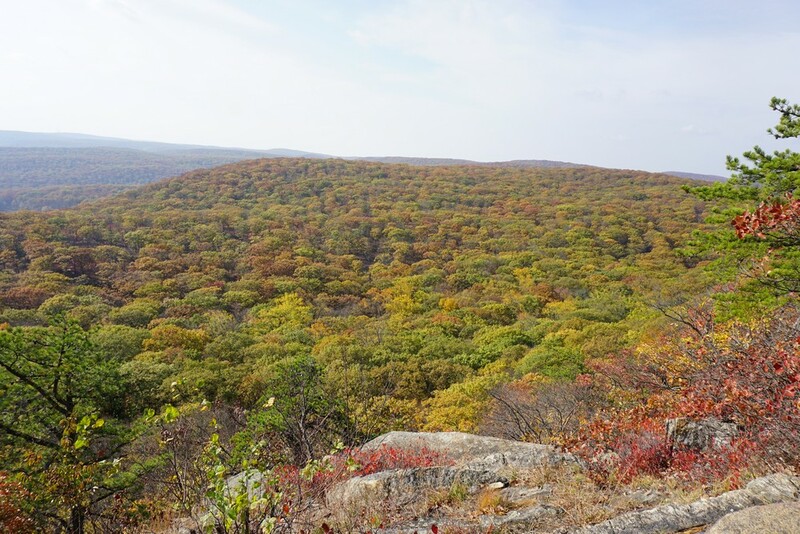 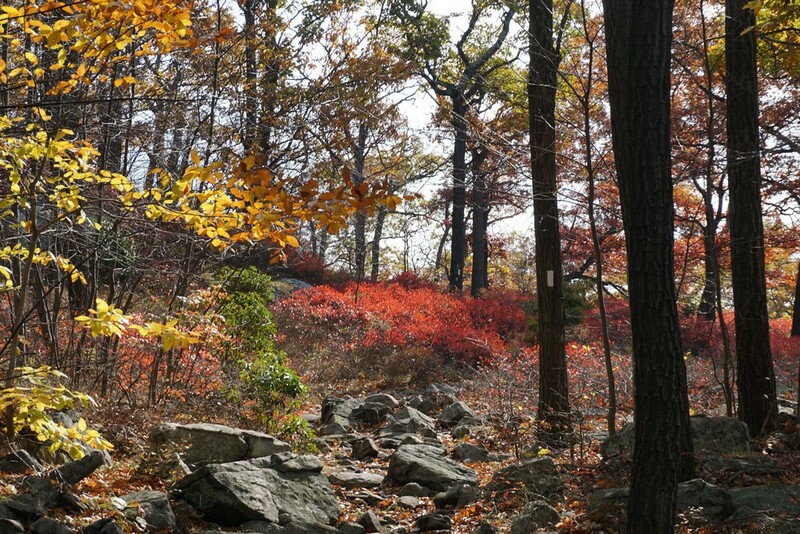 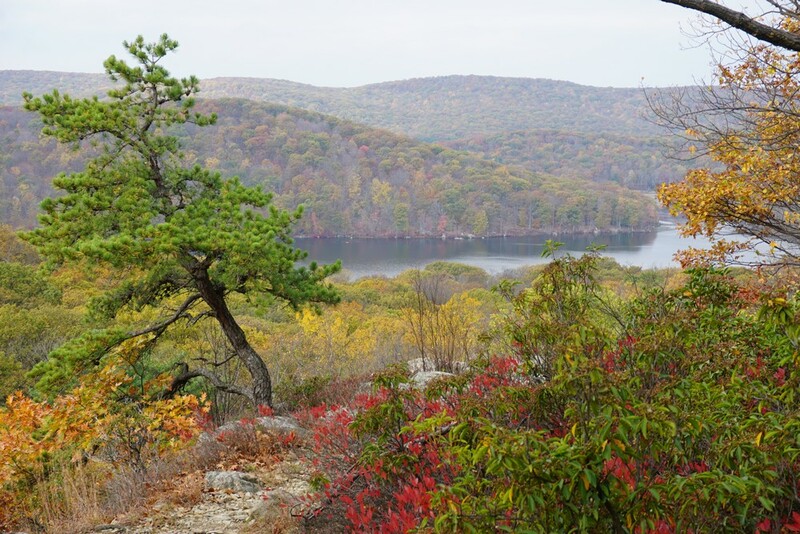 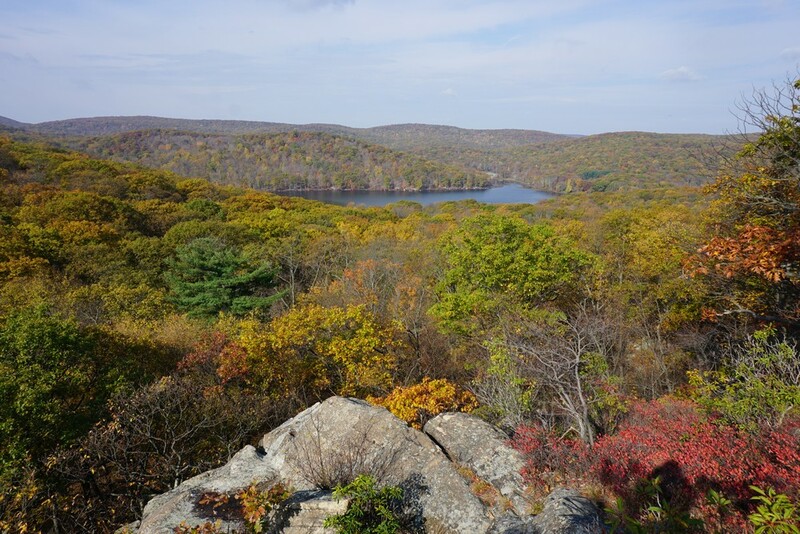 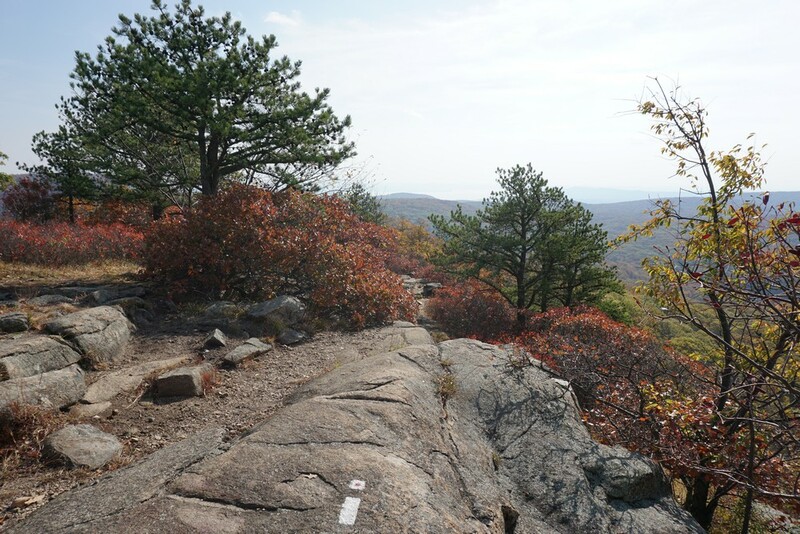 There is a large parking area here, and it doesn't fill up quickly on October weekends like other areas in Harriman with all the foliage seekers. 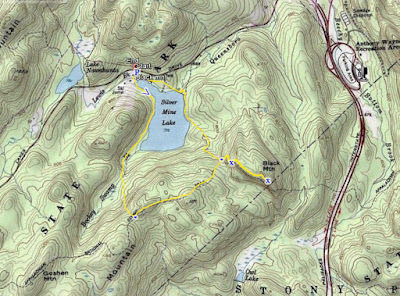 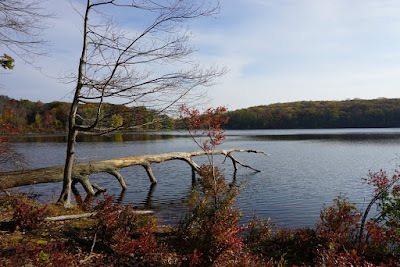 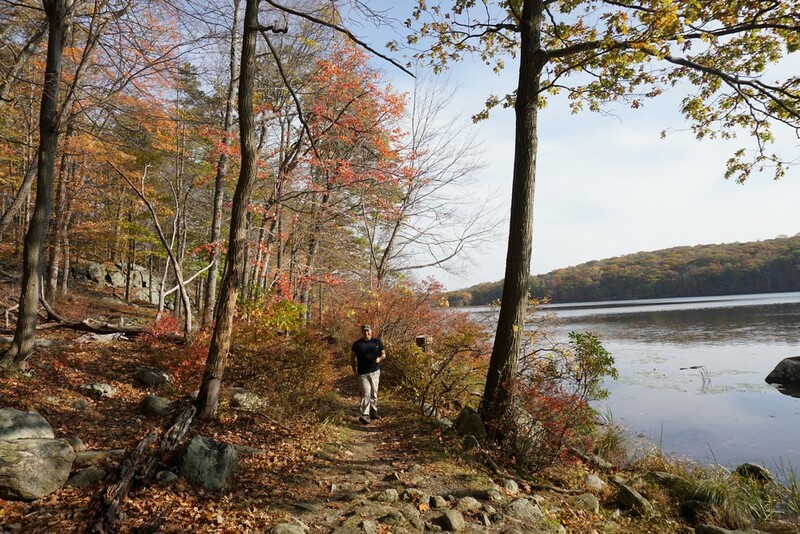 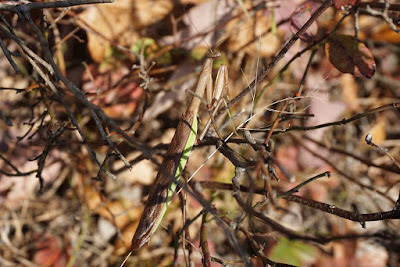 We took the Menomine Trail along the side of the lake, and then as it ascended Letterrock Mountain to the park shelter. 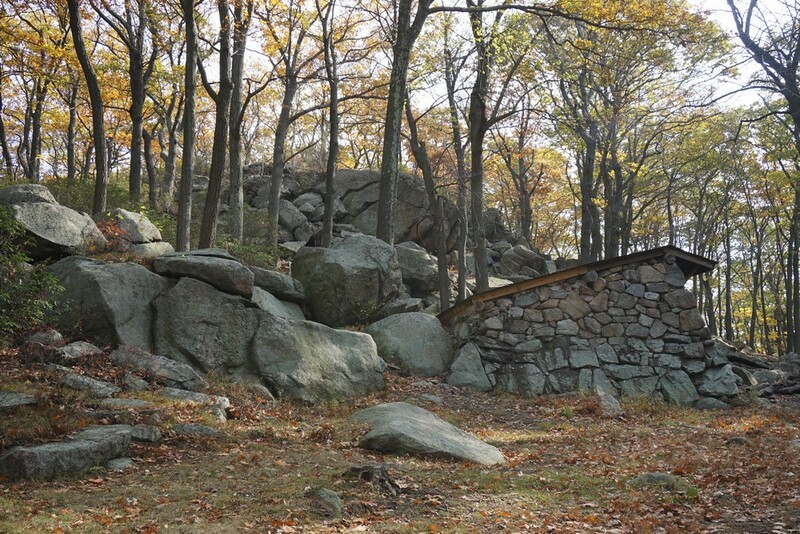 The shelter is at the junction of the Menomine trail with the Appalachian and Ramapo-Dunderberg Trail. 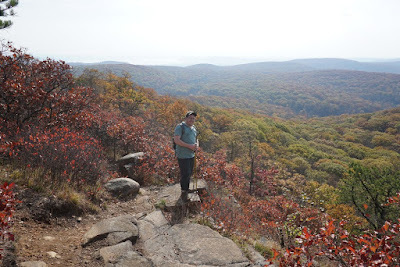 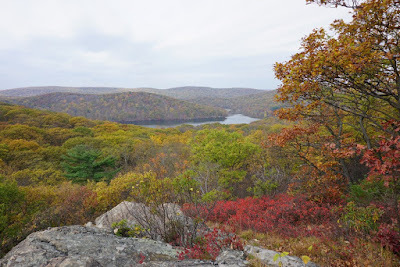 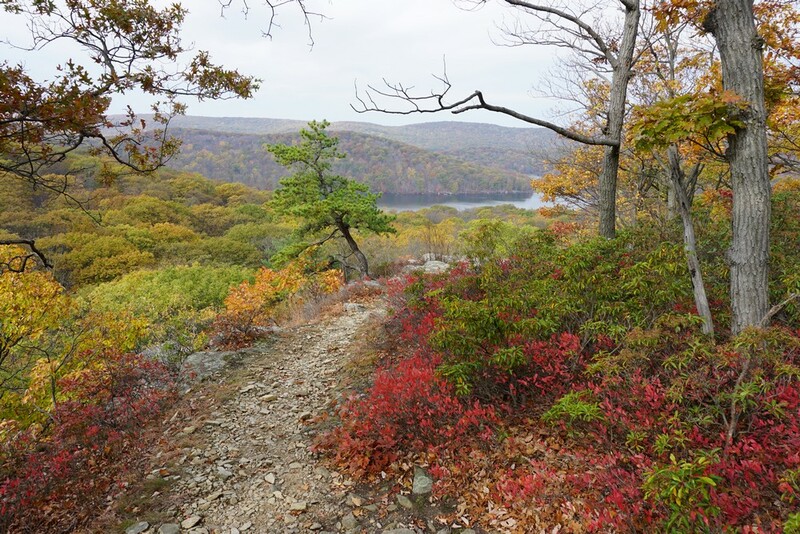 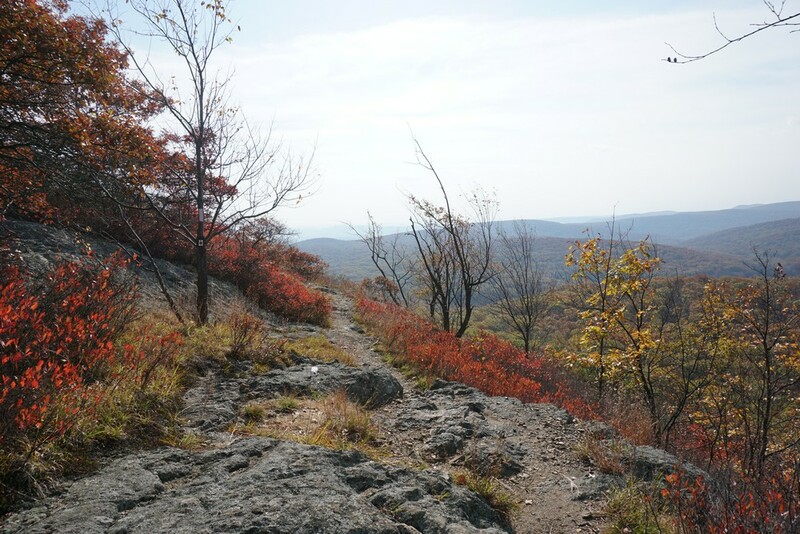 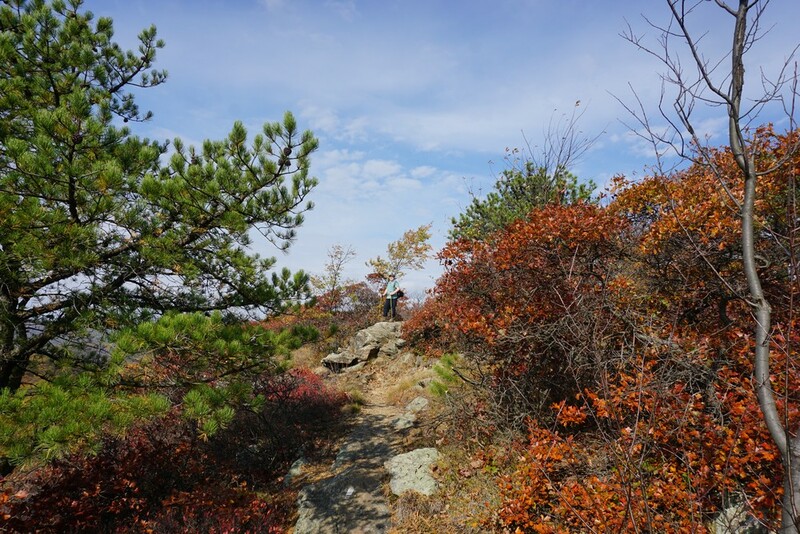 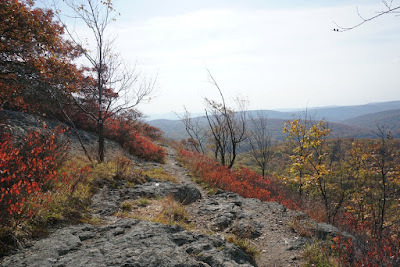 We continued from this point along the combined Appalachian and Ramapo-Dunderberg Trails along the northern part of Letterrock Mountain, then down the mountain, crossing the woods road, and then climbing steeply up Black Mountain to the view. 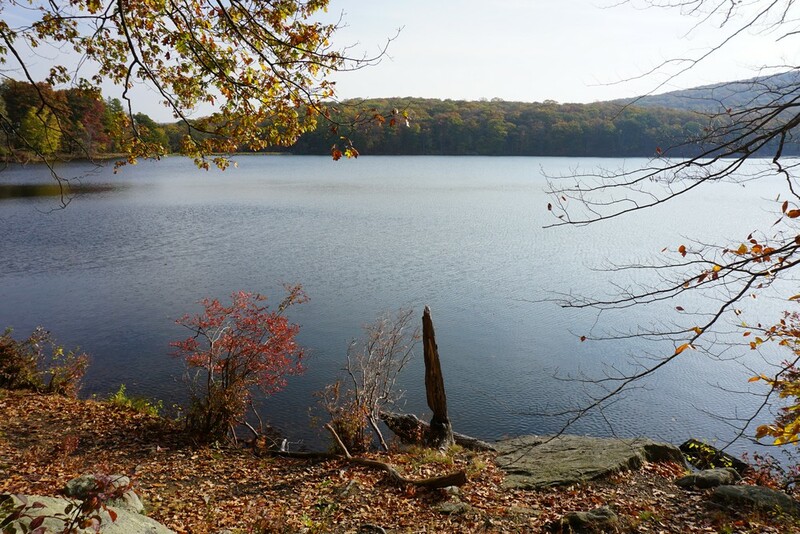 There is a really nice view here of Silvermine Lake. 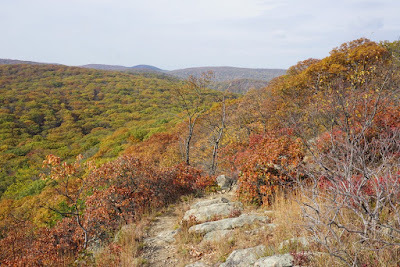 We then continued along the trail eastward, arriving at the summit view of Black Mountain several minutes later. The summit of Black Mountain contains an excellent view as well, with different vantage points to view. We then turned around and went back down back mountain along the same trail, and then took the woods road in the valley all the way down back to Silvermine Lake. We crossed the stream at the lake outlet, which was very low and easy to cross due to the lack of rains. 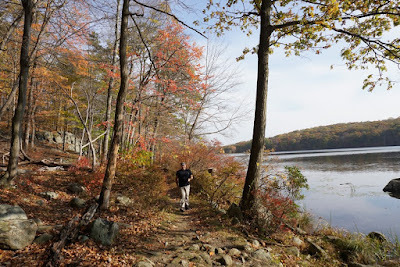 We then went along the path past the dam back to the parking area.